It’s hard to believe instrumental post-metal flag bearers Russian Circles have been putting out great records for more than twelve years now. Their music has been evolving over the years, but their core sound remains the same. It’s powerful, emotional, a little messy, but very real, stylistically focused on the mood and flow of the song rather than technical proficiency. As is their wont, Russian Circles open Guidance with the dirge-like “Asa,” a somber number featuring lush strings and thick, arpeggiated guitar chords. It is more of a long intro than a song, really, and leads into “Vorel,” which begins with a furious burst of drum activity before guitar and bass come bursting in. 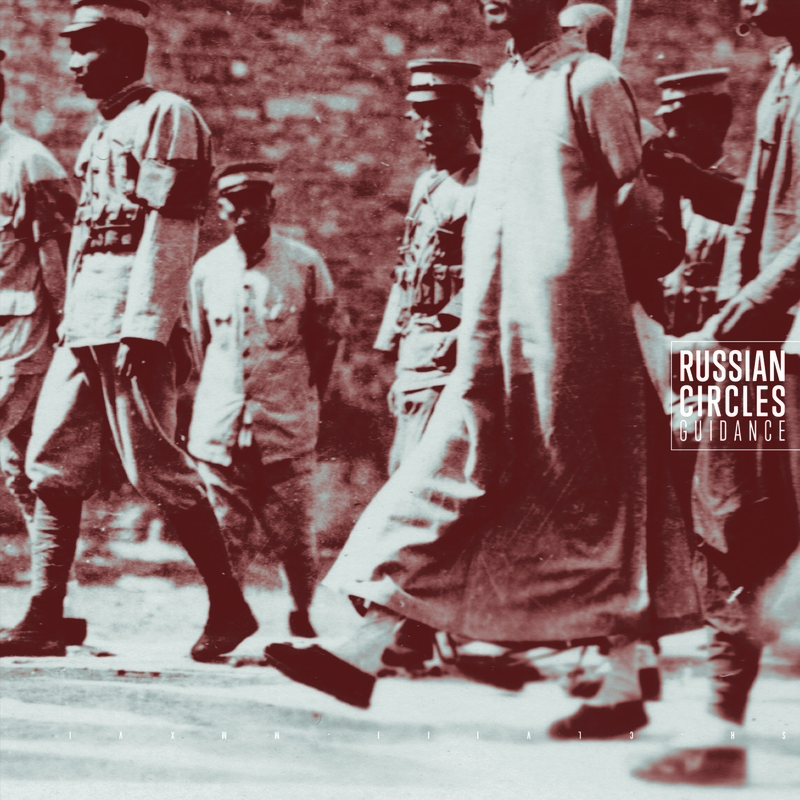 This is Russian Circles at their heaviest, which is a common theme throughout the record. The album is a study in contrasts (and in some cases individual songs are as well) of loud and soft, aggressive and restrained. In the case of “Vorel,” it is all loud and aggressive. “Mota” is more about space and rhythm, and is one of the few tracks you can focus on the growling, distorted bass at times. “Afrika” has a majestic, uplifting feel to it, evoking the continent it is named after. “Overboard” provides us with a quiet, subtle interlude before the final two songs explode in our ears with wonderful ferocity. “Calla” has a sense of urgency and restrained brutality, while album closer “Lisboa” begins rather pensively, in a sad, quiet, slow yet menacing manner, but my gosh does it ever explode at the two minute mark, leading to two minutes of crushing heaviness before sinking into distant chords for a moment, then once again blowing up in our faces: a fitting end to another remarkable record. Production is supplied by the renowned Kurt Ballou (Converge, High On Fire, Torche, and more), and captures the essence of Russian Circles. The band sounds raw, organic, and vital, but by employing today’s standards of crushing and compressing the mix to make the record louder, Ballou and the band have removed any room the instruments might have had to breathe. Dynamics are rarely to be found, which is a shame, because with a trio such as this there should be greater depth to the aural experience. One of the great things about Russian Circles is their complete lack of concern for the capacity of the compact disc. Rather than trying to stretch every mediocre idea they’ve come up with into 74 minutes, the band focuses on writing great songs and to heck with album length. As a result, we get seven strong recordings totaling 41 minutes, and not a moment is wasted. If you love Russian Circles, Guidance will fit right in, and if you haven’t listened to them before, give this one a shot.